A prostrate herb with alternate, often somewhat succulent leaves. The basal sheath is usually folded and the linear blade may be up to 23 cm long. 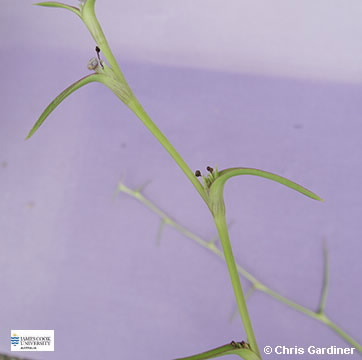 Flowers are in axillary cymes, exserted from the leaf-sheath; perianth segments blue to violet, base connate into a tube 6-12 mm long, lobes much shorter. Fruit a 3-valved capsule 6-8 mm long. Chiefly found in moist habitats.